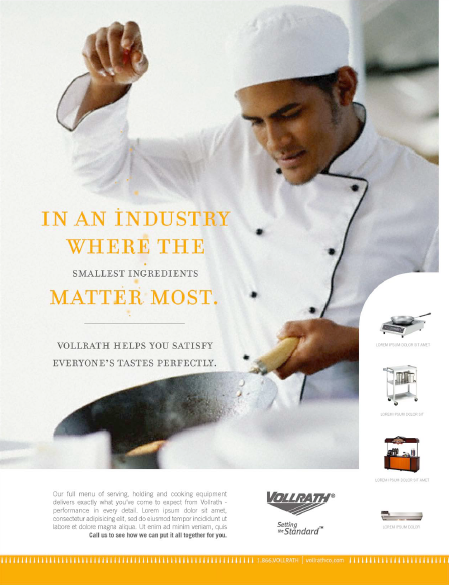 “Kitchen Equipment Ad Concepts” created for MSI.  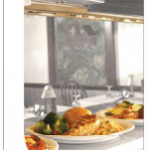 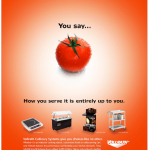 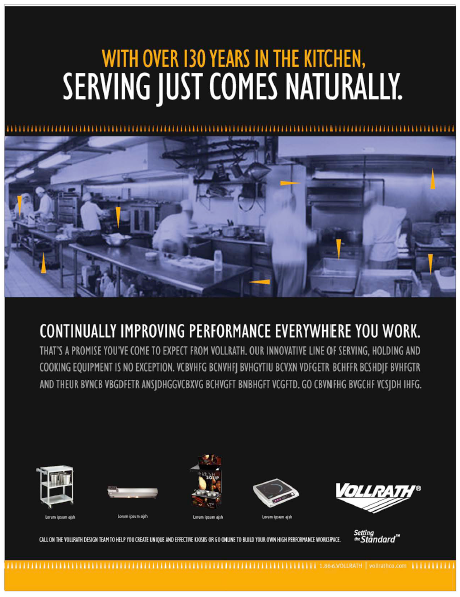 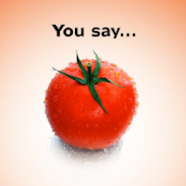 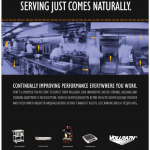 Vollrath doesn’t make the food, they make the serving equipment that makes chefs famous. 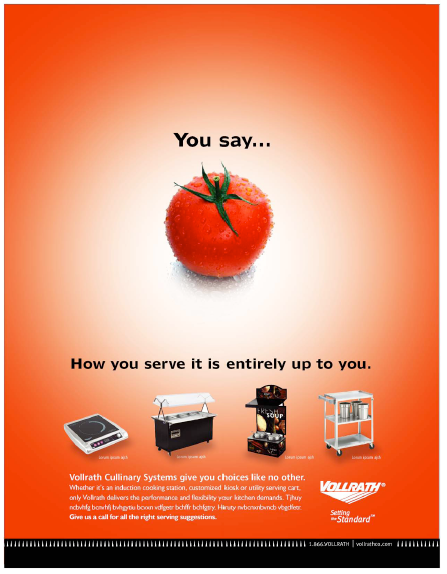 By tailoring our message to the chefs themselves, we created an appetizing reason for them to demand our equipment in their kitchens. 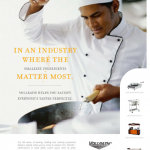 Starting with a full page ad, each concept also included successive 1/4 page column ads to own the trade pubs without bankrupting the client.